A beginning paper-pieced project. 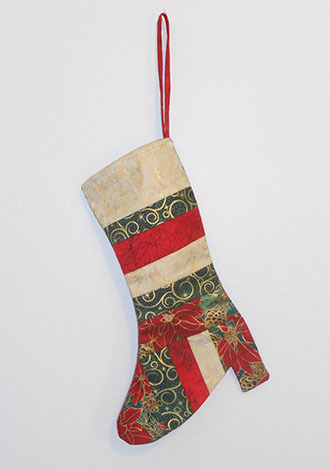 Size: 12 1/2"
Learn how to paper piece using this stocking as the project. Directions for your paper piecing are included inside the pattern. Make M'Lady's Christmas Stocking for friends and family.